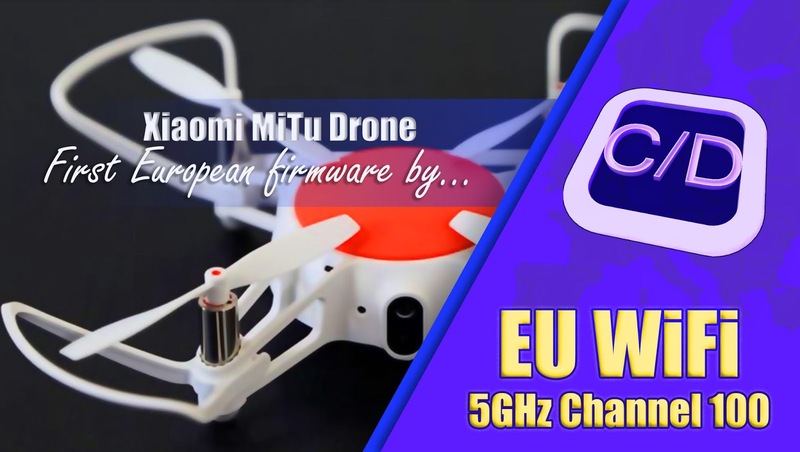 In this article we describe you how-to flash the C/D European firmware for last mini drone of FIMI, the Xiaomi MiTu Drone, to enable the 5GHz bandwidth compatible with Europe frequencies and communicate on Channel 100! The information contained in this guide is for information purposes only. The information and the data are provided by CreativitySlahDesign.com and while we endeavour to keep the information up to date and correct, we make no representations or warranties of any kind, express or implied, about the completeness, accuracy, reliability, suitability or availability in relation with the modifications of the products of Xiaomi Inc. Any reliance you place on such information is therefore strictly at your own risk. Also in case of damages or bricking of your device. The flashing of our firmware follow the same procedure, but in consideration of some technical problems, we would like to suggest some details of use that you will find useful for sure. 1° We don't know how it works in China with their Windows versions, but in Italy (our country) every driver without a sign isn't installable on Windows 10, unless you're not going to have an OS with this configuration. 2° When you run the application DLConfig, it’s better for you to use this application under administrator privileges. In other words, right-click on dl.exe and select “Run as Administrator” before the run. 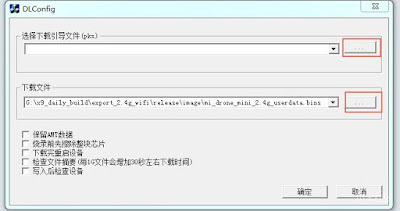 3° Said that you will be able to flash the 5GHz EU Firmware without problem following all other instruction in BBS guide. Warning! You have to select both *.pks and *bins files, the guide doesn’t report that, but it’s very important to flash the firmware with successful! At the end of flashing, you can see 100% and the loading bar should be green. Disconnect the USB cable and power up the drone, at this point (after some minute), your drone start at 5GHz Channel 100 or (in case you have a Wi-Fi router connected on this channel) close to this channel. The USB cable isn’t of best quality, I suggest you to use a better cable to complete the flashing, or you can get a problem with the driver recognition or the flash writing of course. Don’t worry in case of inadvertent brick, you can repeat the process! If you have some problem to power-up your drone after the flashing, try to unplug and to plug back the battery. Take in account that, the sensitivity with 5GHz Wi-Fi is greater than with 2.4Ghz Wi-Fi (in my opinion), so leave the sensitivity low in case you want to use this bandwidth to fly with your drone. At this time, we haven’t found other issues, in case of you'd find other issue, please leave me a comment below. I’d like to solve the problem with statics on video streaming, but I think at this moment the work is so long, so we need time to find a good solution. Our GIT repository about this project, click for download!